Back in January, we found out that Sprint had plans to launch all new Windows Phone 8 devices in Spring. Sprint has been out of the Windows Phone game for awhile but supposedly is coming out with two new handsets. Now, Sprint’s landing page for all that is Windows Phone has launched! Sprint plans to offer a pair of Windows Phone 8 smartphones by summer 2013. These initial devices will offer a robust operating system and lots of innovative features, all enhanced by Sprint’s Truly UnlimitedSM Data plans, all while on the Sprint network. Here’s what to expect from Windows Phone 8. 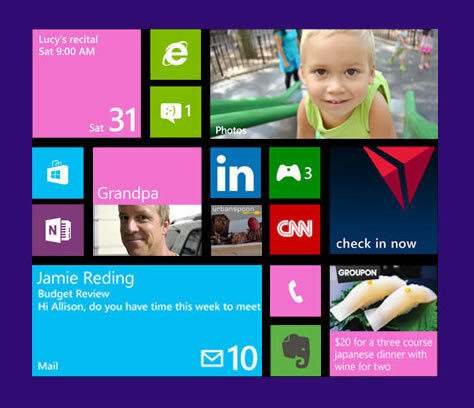 Windows Phone 8 helps connect Sprint customers to the people and information that matters most. With a similar look and feel, the same core technology, and the same built-in SkyDrive cloud service, Windows Phone 8 is built to work seamlessly with Windows 8 computers, Microsoft Surface devices and the Xbox 360 console. Hopefully Sprint and Microsoft will have more information on this launch soon. It will only benefit the eco-system to have phones all 4 major US carriers.